A few weeks ago, I had the opportunity to travel for a Sabah FAM trip with missuschewy's family courtesy of AirAsia and Sabah Tourism Board. I actually visited Kota Kinabalu Sabah ages ago back when I was studying in Poly for an Outward Bounds Sabah challenge course and had climbed Mount Kinabalu in Sabah. It has always been one of my fondest memory as it was one of the toughest time physically and mentally for me back then. When the opportunity came up, I was really excited to check out Sabah from another perspective aside from the nature and greenery that Sabah has always been portrayed for. I'll be sharing the main highlights of the Sabah FAM trip here with quick and light notes. If you have any queries or require more details, feel free to leave a comment in this post! We traveled by AirAsia who offers one of the most Affordable and Cheap Air Ticket. A flight to Kota Kinabalu takes slightly above 2 hours. For those with children, I would recommend booking Hot Seats for the priority boarding. We all know how long it takes to settle kids, so priority boarding is a good to have! Also with kids, it is best to prepare food and drinks. We prebooked our meals and it was served promptly. Aidan really enjoyed the Spiral pasta! I felt it was really suitable for him as it was easy to bite and was tasty yet not spicy. He's quite a picky eater honestly but he finished the whole meal! You can also order light bites like we did for the flight back. We had the Vietnamese Chicken Wrap, Salmon Ebiko Onigiri, Assorted Sandwiches and salted peanuts for snacks. Skai also had the Miso Soup and Hot Coffee. After our experience with traveling with an infant & a toddler on a flight, here are some tips on flying onboard for those daring to do this. Kiddos will get bored. For our short duration, Aidan couldn't sit still AT ALL. We brought toy cars for him to play with and gave him the window seat. NOT ENOUGH. Need more toys or distraction. We actually brought a whole bag of toys but they were checked in as we didn't think we would need so many onboard. Noob mistake. Next time, I'll bring a colouring pad, storybook and a music toy instead. Also, bringing toys = likely picking them up all the time. So be prepared for that! Bring a nursing cover for those breastfeeding. For those who do not, bring milk for the kids to drink. Kids won't know how to unblock their ears unlike us adults. It is best to get them to swallow to remove those discomfort. For me, as Davina is exclusively breastfed, I latched her undercover. For Aidan, we brought a water bottle and got him to sip water throughout. Also, our meals onboard meant Aidan was kept busy eating and drinking which helped cure some of his boredom and also that he kept swallowing and didn't have much blocked ears. Have very very very thick-skin. Don't be paiseh. Honestly speaking, my kids cried like siao. Especially Davina who always cried before her nap. We tried our best to soothe them but there are times where it just didn't work. I gave apologetic looks and said sorry to those around us. There was a not so nice uncle who was kinda pissed, but bo bian. SORRY TO ALL THOSE PEOPLE WHO HATE CRYING BABIES ON FLIGHT. The flight was quick and pleasant and we soon arrived at Kota Kinabalu airport. We were warmly greeted by the kind folks from Sabah Tourism Board alongside Ryan, our guide from Amazing Borneo and Amzar, our kind correspondent from Air Asia. Silly Aidan was scared of the monkey mascot lol! And that began our adventure in Sabah, Malaysia! Look out for the next entry where I share about the attractions and our wonderful accommodation in Kota Kinabalu, Sabah itself! Posted in Press trip, Singapore Food Blog, Singapore Lifestyle Blog, Singapore Mom Blog, Singapore Parenting Blog, Yours truly.... 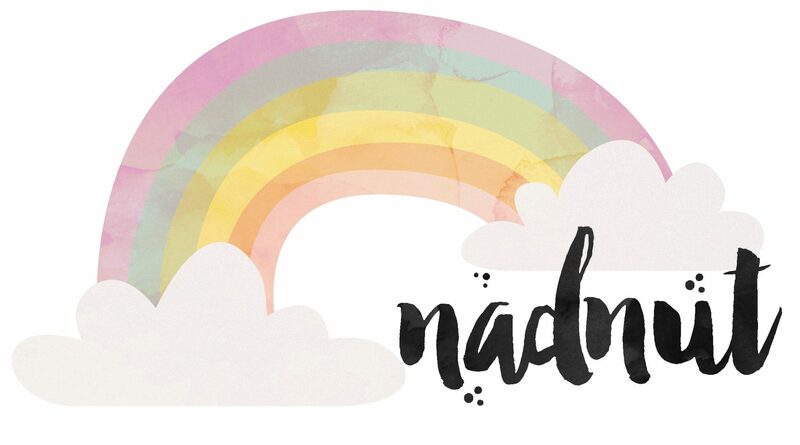 Tags: #nadskaijunior, Aidan Sim, Air Asia, Air Asia Kota Kinabalu, Air Asia Sabah, AirAsia Kota Kinabalu, AirAsia Sabah, baby aidan, kota kinabalu sabah, nadnut, nadnut tula, nadnut.com, nadnut.com - Singapore Lifestyle Blog, Parenthood Blog Singapore, Parenting Blogger, Parenting Bloggers Singapore, Shangri-la Tanjung Aru, Shangri-la Tanjung Aru Resort & Spa, Singapore Baby Blog, singapore lifestyle blog, singapore lifestyle blogger, Singapore Mom Blog, Singapore Mom Blogger, Singapore Mommy Blogger, Singapore Motherhood, Singapore Parenthood Blog, Singapore Parenting Blog on July 28, 2018 by nadnut.